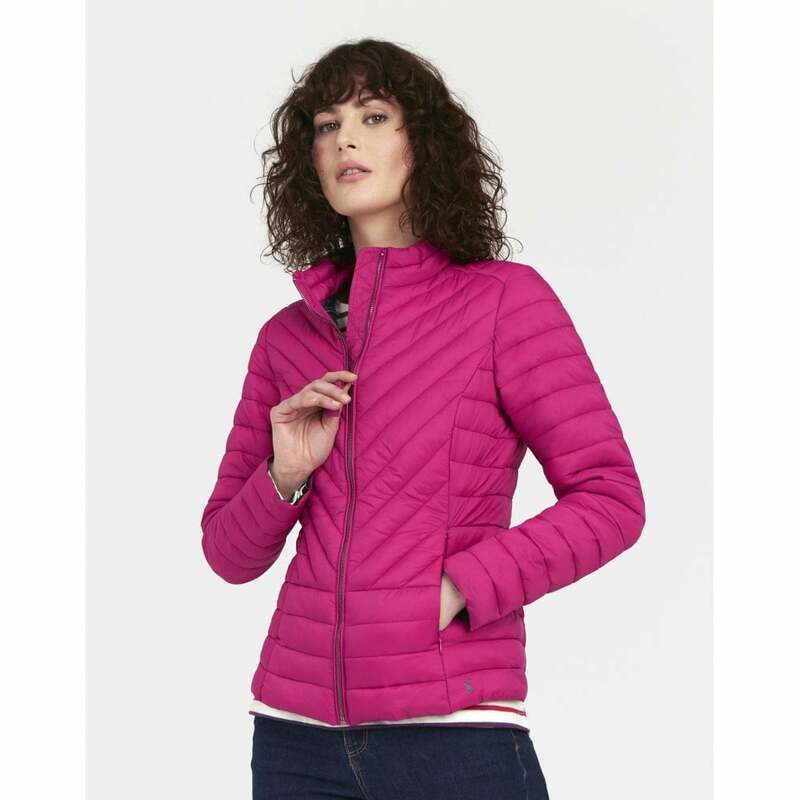 Stand out and stay warm this season with the Elodie chevron quilted jacket, available in beautifully bright fushia, or classic marine navy. This stylish fitted jacket is fully lined and quilted for extra warmth, whilst looking sleek and stylish. Whats not to love about this classic transitional jacket!